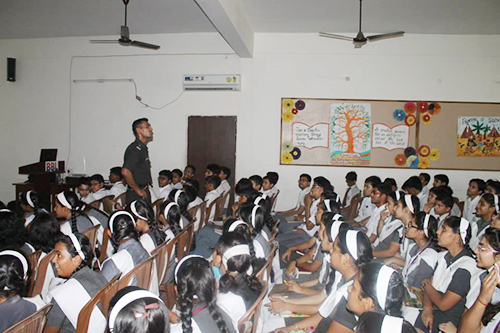 "The best way to find you is to lose yourself in service of others"
Counsellor is a person who reduces present or potential risks in student's life, works under the direction and general supervision of the Principal of the school to provide support to students who have been identified as having social, emotional or behavioural problems. He/she provides developmental guidance focusing on the competence which all students should develop in order to achieve personal success and fulfilment and make contribution to society. Emotional and personal problems of students are also dealt & tackled by the school's internal counselling committee. Students of senior classes are also offered career information, techniques of time management & personality development and how to carry out the examination/ competition oriented studies. Besides this, Professionals & Experts, from various fields are also invited in the school from time to time to help, motivate and guide students to choose the appropriate career.